Newcastle-based TreatmentSaver is a comparison website which helps people find the best health and beauty clinics, including laser eye surgery, cosmetic surgery and botox providers, at the best price, throughout the UK. Tim Harwood is a qualified Optometrist who has worked in the UK and Australia and Ganesh Rao was an NHS doctor at the Royal Hallamshire and Chesterfield Royal Hospital before they founded TreatmentSaver together. 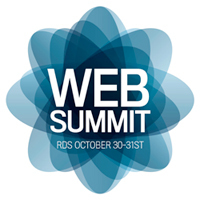 In this interview, Tim and Ganesh tell us how they were at Dublin Web Summit to make new connections, seek funding and gain inspiration and new ideas to take the business forward.